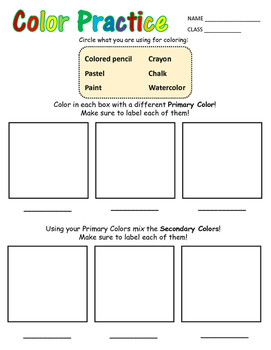 This worksheet is designed to help students show you, the teacher, their understanding of Primary and Secondary colors. Good for pre- and post-assessment! Have students use a variety of materials to color and label the primary colors and show their understanding of secondary colors and color mixing by filling in the secondary colors using only red, yellow, and blue.